Protecting your home with surveillance cameras, door and window sensors and other security devices can make you and your family feel safe. 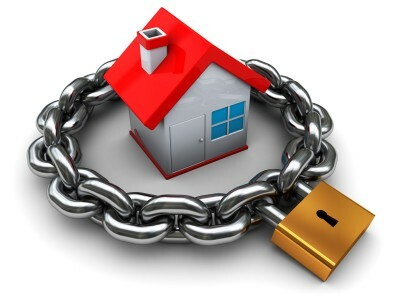 It is important to consider your security goals before choosing a security system. Popular security systems for 2013 include IP wireless cameras. These cameras are popular because the images can be viewed from any electronic device that has a connection to the Internet. Images can also be viewed from anywhere in the world. Convenience is key when it comes to selecting the right security system for your home. 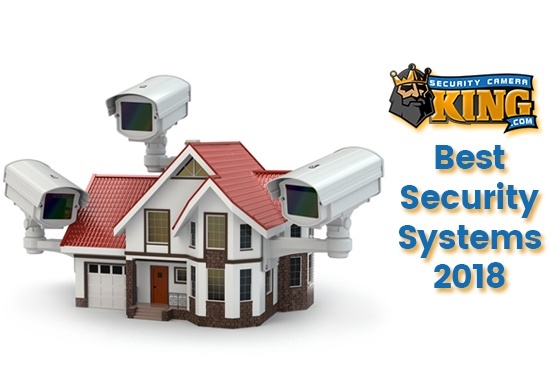 Here are a few of the most popular security systems for 2013. Lorex is a leading manufacturer of security systems. This security system receives top marks for camera features, recording and viewing options and technical support. Their cameras offer high image quality and a one year warranty. Each camera system supports up to four cameras. The resolution is 640 x 480. DVR hard drive features 500GB of storage capacity. Their security systems are compatible with most smartphones. This camera system is a favorite for home surveillance systems. The hard drive offers over 500GB of storage space. You will find this system a favorite for people who prefer to install their own system. The resolution is remarkable at 720 x 480. This system is compatible with most electronic devices. Security Labs is a top favorite because of the powerful features found in their security cameras. The company is known for its superior CCTV security cameras. Security Labs features security systems that prove they are dedicated to high-quality home security systems. The hard drive capacity comes in at 500GB of convenient storage space. They also offer technical support and their security systems are easy to use. 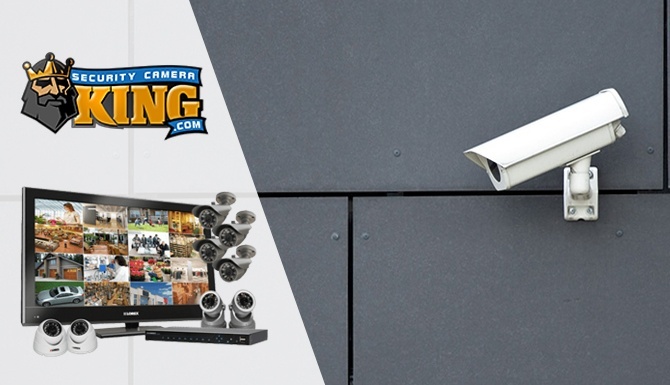 This top manufacturer of security cameras and systems is a favorite because their devices are easy to use. You will find image resolution comes in at 640 x 448. This system comes equipped with two domed cameras and two bullet cameras. They also offer a unique video that shows you how to set up the system. Swann is a prominent player in the security camera industry because of their unusually long recording time. The company says this system can record up to two months using only one camera. The security system comes equipped with two bullet cameras. The resolution is lower than other systems at 640 x 224. It is still a favorite among home security system users. Home security cameras and systems are constantly changing and improving the way they protect your home. You can now buy a security system that lets you monitor your home through your smartphone. This is a convenient way to check on family members or loved ones while you are away from home. Home intrusions are on the rise in every area of the country. Burglary and theft cost consumers billions of dollars in losses each year. Installing a home security system gives you an added advantage. Many intruders simply do not want to bother with a home that has cameras everywhere. There are several things you can do to make your home even more secure. The outdoor area of your home should be equipped with motion detector lights that will come on if someone comes near your home. These lights will illuminate the area and can potentially scare off visitors. You can find these types of lights at your local home improvement store. A professional home security company will carry many security devices that will be helpful for improving your home security. You can find these companies online by searching the Internet. They offer driveway alarms that will alert you to the presence of a vehicle. You can also buy door and window sensors for your home. These sensors will sound an audible alert if someone tries to break into your home. The doors and windows are a favorite target for home intruders. Make sure all outdoor landscaping is trimmed and not blocking your view. A home intruder may decide to hide in thick brushes or landscaping near the windows and doors. Install high-quality entry doors that are made out of solid steel or wood. Cheap doors are an easy target for potential burglars. You should also install high-quality locks and deadbolts on all entry doors. Deadbolt locks should be installed to prevent someone from being able to kick the door in. If the deadbolt is not installed properly, then it won’t help protect your home. Some people prefer to equip their home with a wired security alarm system. The fact is wired security alarms are more difficult to install. Wireless security systems can be installed anywhere in your home. This makes them a cheaper and easier installation. If your wireless alarm system is connected to an IP camera, then you will be able to view the images from any electronic device. This means you can even view live images of your home from your smartphone. Another advantage is the fact that you can view images on any electronic device that is connected to the Internet. Imagine how nice it would be to view your home while you are away on vacation. Many people also appreciate the fact that they can check on loved ones at home while they are gone. This can give peace of mind to many parents of small children who are being cared for in their home. Wireless security alarms are a popular choice for many people. The ease and convenience makes them more popular than wired security systems. Self-monitoring your home has its advantages. You will not have to pay a monthly fee to an alarm company. However, you will have to call law enforcement yourself if your alarm goes off. If someone breaks into your home, an audible alarm will sound. You may be able to count on your neighbors calling the police if you are not at home. However, most alarm systems can be set up to call you if the alarm goes off. A professional alarm company must call you and verify there is a problem before they call law enforcement. This can cause time delays, but the intruder won’t know if it is monitored or not. However, the presence of the alarm will scare off most intruders. They simply don’t want to take the chance of being caught when they can move to another home without an alarm. Professional alarm companies charge a small monthly fee and the decision to use them is up to you. Weigh the disadvantages versus the advantages before you make your decision. You should turn your alarm system on even when you are at home. Many people don’t want to bother with turning the system on and off. If your vehicle is in the garage, an intruder may think that no one is at home. Keep your alarm system on at all times. If you have teenagers who come and go often, they should understand how important it is to use the security alarm system. When you go away on vacation and leave your home empty, you should make it look like people are there. You can buy light and stereo timers at your local hardwood store. These are simple to install and program. If you have a trusted neighbor to look after your home, then you can offer to do the same. Security professionals recommend getting to know all of your surrounding neighbors to improve your home safety. Never hide a spare house key outside of your home. Burglars are well aware of this old-fashioned trick. Instead, leave a spare key with a friend or neighbor. Social media is a great way to stay connected with family and friends. However, when you are going on vacation, you should not reveal your plans on social media sites. Many people do this without understanding that a common thief could intercept this information and use it to gain access to your home. Find out if there is a neighborhood crime watch organization in your neighborhood. This is a great way for neighbors to look after each others home. Crime watch organization often place signs around the neighborhood warning potential burglars that this is a crime watch neighborhood. This is a great way to deter crime in your area. Dogs make wonderful noisemakers, especially a small dog. Small dogs love to bark, and one thing a burglar does not want is a loud, barking dog. This noise can alert neighbors to their presence. Burglars will avoid homes with dogs. Consider putting a dog warning sign on your fence, even if you don’t have a dog. Aggressive dogs can cause you a lot of problems, if they get out of your yard. You can be held responsible if your dog gets out and bites someone. If you currently own an aggressive dog, be sure your yard is secure. If you don’t have a dog, you can buy a device online that makes barking sounds. There are a variety of unique security items you can find by searching online. Protect your jewelry by keeping it out of sight. You should always lockup expensive jewelry or put them in a safe deposit box. Keep your blinds and curtains closed at night. Leaving them open makes it easy for someone to see inside your home and discover all the expensive electronics you have. They may decide your home is worth the risk by burglarizing it while you are away. You can buy portable safes online that look like regular household items. Consider keeping your valuables inside one of these. It is rare that a burglar will go into the kitchen while inside your home. They usually go straight to the master bedroom where jewelry, guns and cash can be found. Consider hiding expensive items in the kitchen pantry. Most burglars are looking for items that can be converted into quick cash. Consider marking your electronics with a unique code of numbers. You could mark them with your driver’s license number, and the police could call you if the items are pawned at the local pawn shop. Many potential burglars will monitor a home before they decide to target it. If you have a predictable schedule everyday, consider varying it from time to time. If your household owns more than one vehicle, you could change the one you drive everyday. These ideas may seem a little ridiculous, but you have to think like a burglar thinks in order to improve your safety at home. Install audible alarm sensors on your windows and doors to alert you if someone tries to break into your home. If you use a professional alarm company, they will likely include these in their security systems. You can also have motion detectors inside specific rooms of your home that will detect movement and sound an alarm. These motion detectors can be programmed to overlook small pets. Install a few panic buttons throughout your home. Panic buttons can also be routed directly to the local fire or police station. They are also helpful for people who have a medical condition. Home security involves using a number of methods to improve your safety at home. These methods combine and create a number of layers of protection. You need to make your home as difficult to break into as you possibly can. Anything you add to slow down a potential burglar buys you more time. The typical burglar wants to be inside your home no more than five minutes. If it takes a long time to get inside, they may decide to move on to another neighborhood. Home security also involves educating everyone in the home about the dangers of burglary and theft. Make sure every family member knows what to do in case of an emergency. Practice emergency drills on a regular basis to improve emergency response times for everyone. Contact us today to find out how to purchase one of the popular security systems for this year.